What Car Got It Right The First Time? Some cars aren't quite right when they first reach the streets, whereas others are perfect from the get go. Take for example the first Mustang – Ford hit a home run when they launched the car back in 1964, and the Mustang's insane sales figures are a testament to that. 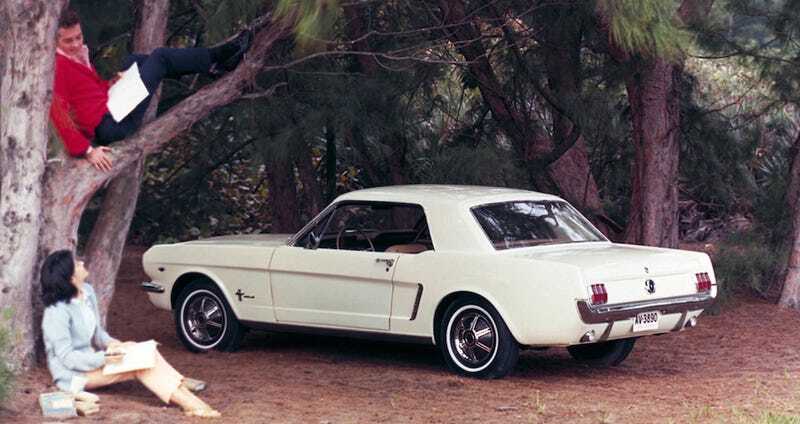 According to the excellent history on the 1965-1966 Mustang from our friends at Ate Up With Motor (which you'd be a fool not to read), Ford sold 680,992 '65 Mustangs (which went on sale in mid-'64) and 607,568 '66 Mustangs making the car an unprecedented smash. To this day, Mustangs have never sold better than this. Lee Iaccoca wanted a stylish, affordable car for the people and that's exactly what he produced. Of course, the early Mustang wasn't the greatest driver's car and it took Carroll Shelby to unlock its performance potential, but that's beside the point. The '65-'66 Mustang set the standard that all future Mustangs had to be measured against, which is a damn impressive feat. For contrast, lets take a look at the Chevrolet Corvette. The early 'Vettes were certainly beautiful cars, but that was about it. The performance of the very first models were lackluster at best, with their underpowered inline 6s and 2-speed (!) automatics. They got better as the first generation Corvette evolved, but it wasn't until the Sting Ray of 1963 that Chevy had a hit. The '63 Sting Ray is the car that truly established the Corvette as the performance car that it is, but unlike the Mustang, it took ten years of development before Chevy got it right. So, what cars do you think hit a home run at their first at bat?